An aneurysm is a weak point in a blood vessel where the wall progressively expands like a balloon and may eventually rupture. Aneurysms often occur in the brain and the National Institute of Neurological Disorders and Stroke reports that approximately 30,000 Americans experience a ruptured brain aneurysm each year. Because a ruptured aneurysm can cause life-threatening bleeding and permanent brain damage, neurosurgeons may recommend preemptive repair of these blood vessel defects when detected. The most common technique for correcting an aneurysm is surgical clipping. With this procedure, surgeons open the skull, locate the aneurysm and use a tiny clip to cut blood flow to the bulging area. Patients are placed under general anesthesia for a clipping procedure. Recovery from surgical clipping involves a lengthy hospital stay. In a best-case scenario, patients might be hospitalized for six days, spending at least the first day in an intensive care unit. However, it is not uncommon for a patient to stay in the hospital under close monitoring for two weeks or more. Patients are not released until an angiogram has confirmed that blood flow to the aneurysm is completely blocked. Even after release from the hospital, patients might face a recovery period at home as long as six weeks before doctors will allow them to return to work and normal activities. During this time, fatigue, headaches, memory loss and dizziness can occur but usually resolve with time. 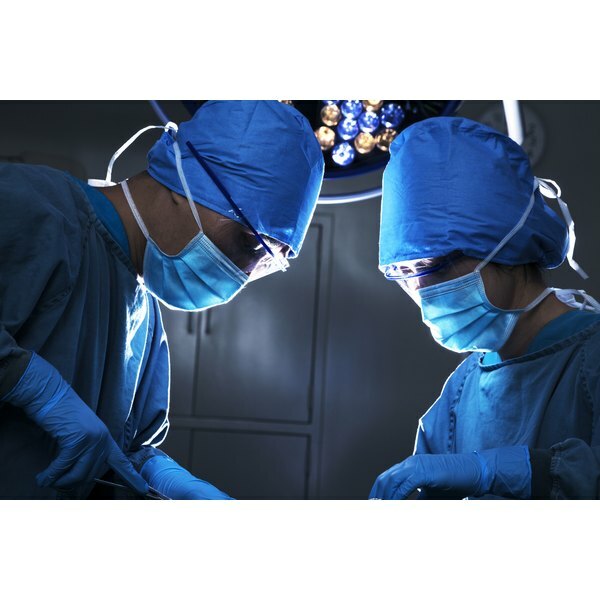 Patients also experience the usual after effects associated with any major surgery, including nausea, constipation and pain at the incision site. A less invasive procedure available in some cases is endovascular coiling. With this procedure, surgeons insert a hollow, flexible tube called a catheter into a large vein in the groin. The catheter is threaded through the vascular system into the brain to the site of the aneurysm. Tiny, flexible coils that fill the aneurysm are placed through the catheter. Blood clots naturally form around the coils, blocking the aneurysm. Because coiling does not involve opening the skull, it typically involves a shorter recovery period than clipping. A typical hospital stay can be as short as two days and the home recovery period can be as long as seven days. Complications, such as rupture of the aneurysm, can lengthen the recovery period. During the recovery period, patients can experience the same neurological symptoms as post-clipping patients, including temporary memory loss, fatigue and headaches. In rare cases, doctors determine that the affected artery is too damaged for clipping or coiling. In such cases, they might perform an occlusion or bypass. With occlusion surgery, doctors shut off blood flow to the affected section of an artery rather than merely closing off the aneurysm. With bypass surgery, doctors take a blood vessel from another part of the body and use it to reroute blood flow around the artery with the aneurysm. Occlusion and bypass are more invasive surgeries than clipping or coiling. The length of a hospital stay for these procedures varies widely, based on the specifics of each case. The brain is handled more in this procedure than in a clipping or coiling operation, which can lead to significant post-surgery neurological symptoms. Patients are normally hospitalized for a month or longer afterward, followed by a lengthy convalescence at home. Robin Tucker covers health for several online publications. She is a registered nurse with experience in labor and delivery, critical care, neurology and neurosurgery, and works in Labor and Delivery at a large, urban teaching hospital. Tucker is completing her Master of Science in nurse-midwifery at Frontier Nursing University and holds a Bachelor of Science in nursing from George Mason University.